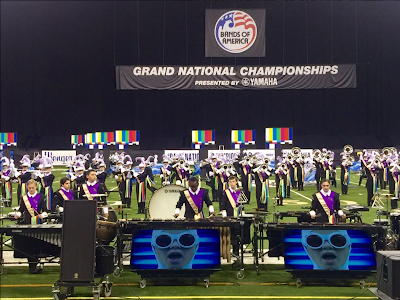 In December, Music For All officially released their schedule of BOA Fall Championship events for the 2016 season. The biggest change has to do with several of the super regionals. The San Antonio and St. Louis competitions have been moved back one week and the Indianapolis competition has been moved back two weeks. Other notable changes include the dates of the southeastern regionals in Powder Springs, Clarksville, and Jacksonville as well as the return of the Tacoma Regional, which was cancelled last year due to low enrollment. The Tacoma Regional is listed as "tentative pending sufficient enrollment" on the registration form and is the only event with that disclaimer.